Congratulations to Carrie & Dave who both won $10 TPT Gift Cards! How would you use a $10 TPT Gift Card? Want to find out? 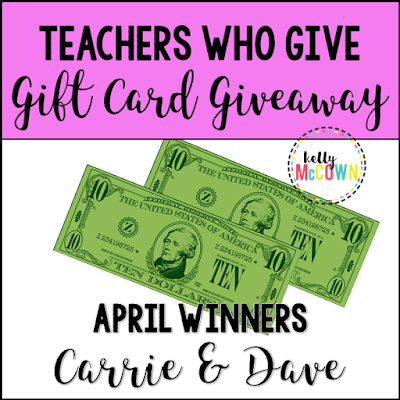 All you have to do is click "FOLLOW ME" on TPT and next month you'll receive an entry to the Teachers Who Give Gift Card Giveaway! It's that simple.